Home / Blog / What’s the New “Super Simple” Path to 3 Big Wins for Doctors and Nurses? Communication at its finest – for 1849! It’s 1849. You’re in New York City. You need to consult on an important matter with your business partner in San Francisco. The Post Office Department began mail service to the west coast two years earlier, so you drop a letter into the mail. It travels by steamship to the Atlantic coast of Panama, then by mule and canoe through 48 miles of Panama’s rainforests to the Pacific coast, then by steamship to San Francisco. Your business partner receives your question, then quickly scribbles a reply and drops it in the mail for the return trip by steamship, mule, and canoe. And nine weeks later, you have your answer and know exactly what to do next. Now it’s 1869. You have another question that requires information from your business partner. You consider the new transcontinental telegraph system, but this is highly-sensitive content. You can’t even risk exposing it to the telegraph operators. So you turn to the Transcontinental Railroad that was completed earlier this year. You put your mail on the train … and you have your answer in a mere 8 days! You begin to think through the impact of this breakthrough technology. The new efficiency in sending and receiving private messages is stunning. Your job satisfaction soars because you’re able to do your work without those aggravating delays. And as the delays evaporate, productivity surges. Such is the opportunity for doctors and nurses today. 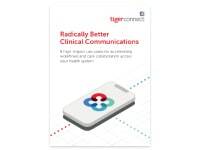 Clinical Communication & Collaboration tools are the new Transcontinental Railroad. 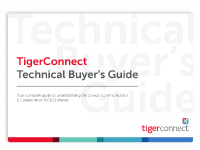 In TigerConnect’s eBook, The Big, Easy Win, we identified 16 vital metrics that are improved by the implementation of a Clinical Communication & Collaboration (CC&C) solution like TigerConnect. We covered nine of those metrics that make life better for patients in an earlier post. This post looks at three metrics that make life better for clinicians: Efficiency, Satisfaction, and Productivity (ESP). Doctors and nurses tend to be high performers. Few things frustrate high performers more than inefficient processes. In healthcare, a common, glaring inefficiency is the time it takes to respond to a patient event. 1. Patient arrives in the Emergency Room. It’s immediately obvious the patient needs to be admitted, and the appropriate room is available. Still, it’s 2 hours after the initial evaluation before that patient is in an inpatient room. Meanwhile, the health problem worsens, and the probable Length of Stay creeps up. 2. Nurse has an urgent message for physician. Nurse pages physician. Physician cannot return call until 13 minutes later, and now nurse is with another patient. After another 8 minutes, the two connect and doctor gives decision. It takes 21 minutes to respond to an urgent situation… and another 4 hours and an expensive medical intervention to overcome the consequences of that 21-minute delay. 3. Imaging test is ordered and complete. EHR pushes message to physician’s In Basket. Physician is in automobile and arrives at hospital 18 minutes later, then logs into EHR 11 minutes later and wades through In Basket, discovers Radiology image, and responds. 29 minutes. But nurses and doctors who use a Clinical Communication & Collaboration solution know how ridiculously unnecessary those inefficiencies are. 1. In Patient Event #1 above, a virtual real-time conversation between the ER, the transport team, and the inpatient unit unites patient with bed in 30 minutes or less. 2. In Patient Event #2, the nurse sends a secure text message, which the physician reads and responds to within 30 seconds. No delay, and no heroics to compensate for it. 3. In Patient Event #3, the EHR pushes the image to the doctor’s cell phone, where the doctor views it, enlarges it, rotates it, and responds immediately (after pulling off the road, of course). And yet, without a CC&C solution in place, that type of painful delay is all too common in clinical conversations when the comfort and health of your parent/spouse/child is on the line. So that’s CC&C’s Big Win #1 for doctors and nurses: Increased Efficiency. What’s an example of “obstacles to providing high-quality care?” Inefficient processes. As I said earlier, few things frustrate high performers more than inefficient processes. And we all know from personal experience that when an inefficient process repeatedly blocks us from doing our best work, frustration goes up and job satisfaction goes down. But I think the impact on job satisfaction must be magnified for high performers who deliver patient care. I mean, if a computer network problem delays me from printing a document for 21 minutes, then I do something else while I’m waiting. The document doesn’t suffer. Doesn’t even care. But if, as in Patient Event #2, it takes 21 minutes for a physician to receive and reply to a nurse’s urgent message, their patient – a human being – is suffering. Comfort and health are delayed. The nurse and doctor are doing their best, but the system imposes delays and inefficiencies they can’t control. And little by little, the inefficiencies feed their frustration … and job satisfaction becomes malnourished. After all, that’s what they really want to do every day. And now we have Big Win #2 for doctors and nurses: Increased Job Satisfaction. The relationship between efficiency and productivity is right there on the surface. But there’s a surprise relationship between job satisfaction and productivity. We’ll come back to that one in a few minutes. First things first, though. Here are two no-surprise truths about efficiency and productivity. 1. If you’re working more efficiently, then you’ll have more time and you can get more done. Higher productivity. 2. In some cases, like Patient Event #2, efficiency in one workflow can mean other work is avoided entirely. And if someone doesn’t have to do one task, they have more time to do something else. Again, higher productivity. These short stories demonstrate how a CC&C system saves time, eliminates tasks, and opens new options for collaboration. Greater efficiency leads to greater productivity. And now we’ve reached CC&C’s Big Win #3 for doctors and nurses: Increased productivity. But there’s another story here. Let’s look at the relationship between satisfaction and productivity. It’s intuitive that higher productivity can lead to higher satisfaction. We feel good about our job after a productive day. It works both ways, though. When we have high job satisfaction – when we’re feeling better – our brains work better. We’re better at solving problems. Here’s proof. Inc.com reports three studies that quantify this increased productivity in the range of 6.6% to 31%. One of them even learned that unsatisfied workers are 10% less productive than satisfied workers. In short, CC&C solutions produce Higher Efficiency. The result? 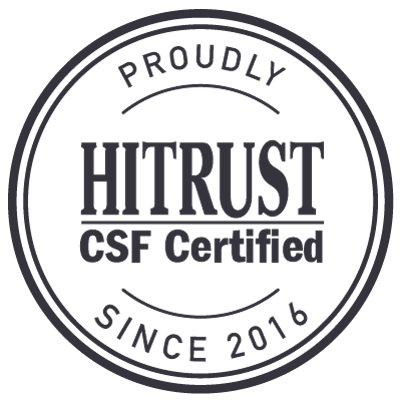 Obviously, investing in tools that improve efficiency leads to better outcomes for patients and healthcare workers and pays dividends across the board. 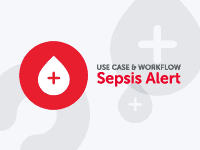 Clinical Communication & Collaboration tools hold great treasures for nurses and physicians. The three Big Wins feed off themselves in an interdependent, upward spiral of greater Efficiency, Satisfaction, and Productivity.